Your resource for all things shoegaze and dream pop: WTSH Interviews Appendixes. From left to right: Cat Hoch, Beth Ann Dear, Devin Welch, Eric Sabatino. It was a love at first sound when I encountered the achingly gorgeous dream pop of Portland, Oregon’s Appendixes. 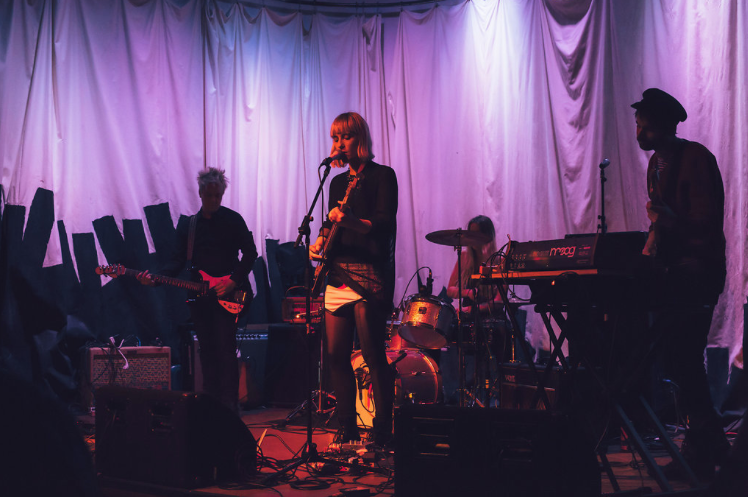 In the fall of 2013 front person Beth Ann Dear emailed WTSH to let us know about the Neon Green Fear 7” and the newly released videos for the title track and for “Marty”, the lead cut from 2012’s debut EP False Color. I checked out the video for “Marty” first and clearly remember being instantly transfixed, moved by the song’s melancholic openness of feeling, absorbed by its commanding evocation of atmosphere, and charmed by the clip’s fuzzily shifting collages and vintage-video look. I quickly moved into the rest of Appendixes’ output and was equally taken by it. It was for sure Beth Ann’s sublime vocals that struck me the hardest. The natural tone and texture of her voice are exquisite and distinctive. The emotive power of her singing doesn’t derive from affectation or expressive flourish but rather from her delivery’s brave simplicity and directness. 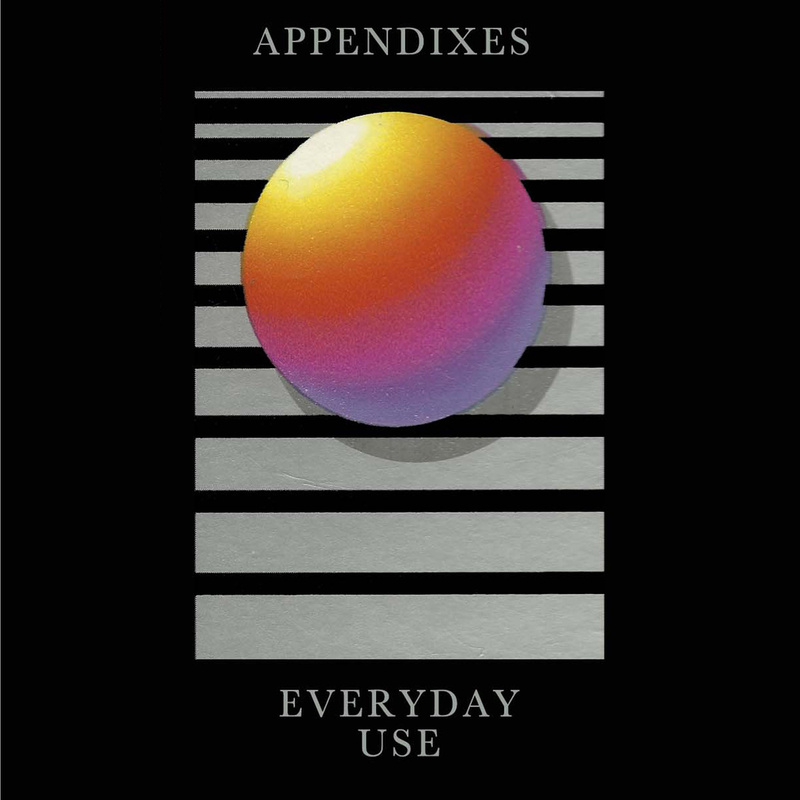 In my fateful first encounter with Appendixes’ music, for example, the occasional, slight falterings of pitch sagely preserved in the vocals for “Marty” and “Neon Green Fear” bared vulnerability and for me just underscored the authenticity of the entire project. The latest big Appendixes development is the recently premiered video for “The Plan” from Everyday Use. It was directed by Seattle’s Robin Stein, who’s done photo and video work with everyone from Nordstrom to Captured tracks. Check out the clip immediately below, and look for a new EP called Fantasy on July 29th. Beth Ann: I was working on writing and recording songs alone. The first time I remember hanging out with Eric he had just bought the Twin Peaks box set. I had never seen it and I was really impressed. I was so happy he introduced me to the show and then shortly after we decided to start playing music together. It was only fitting that for our first show we played Julee Cruise covers at a David Lynch-themed house show on David Lynch’s birthday. Beth Ann: This has been a super busy year for us. In January we released our Everyday Use EP. We also made two music videos, and did a mini Pacific Northwest tour in March. On July 29th we are releasing our Fantasy EP on Track & Field Records, and we are planning a West Coast tour in late July and early August to promote the album. Stay tuned for specific dates. We are so excited to be in the California sun. Beth Ann: We all pull influences from many different “genres”. This seems to help us create a unique sound organically. Eric: We are just trying to make music that we like. Devin: I concur with my bandmates and would add that we share some qualities with the styles you mentioned but we are not into being a revival band or a well studied rehash of the past. We play and experiment with a lot of different styles and hopefully through that process we realize our distinctive voice as a group. Eric: My baritone guitar, most of our pedals, and the pickups in my Jazzmaster are all custom made by friends. I use a Holy Grail reverb pedal, and like it. We’ve broken three of them. Devin: The main synthesizer I use is a Sequential Circuits Prelude which is not very versatile but has a unique character. It appears in many of our songs and is becoming a distinct part of our sonic palette. Eric: I could be very wordy here, but I’ll say that we have some nice mics, a nice mic preamp, and our tracking process uses a mixture of analog and digital gear. I also have a variety of tube amplifiers that we use while recording. We use different recording processes to stay creative. Beth Ann: In the past we have written song structures before recording, but we have also been trying to use the recording process as a writing tool. I definitely suggest that people try recording themselves. It really helps maintain the original artistic vision. I feel like recording really brings us together as a band. Devin: I feel like there are a wider range of avenues for independent musicians to expose their work than ten years ago but I also feel that many of these platforms undervalue artists. Record labels can still be relevant especially when they cultivate a highly curated aesthetic but by and large I feel the weight is on the artists to make something distinctive enough to stand out in the over-saturated market. Beth Ann: I am really excited because I feel like DIY and/or independent labels, bands, and venues have more access to each other now because of social media. I honestly can’t imagine what touring would be like without Facebook or smartphone maps. The music industry is evolving and changing, we are definitely in a crazy transition period right now, and I feel mostly positive about it. Devin: All of the physical media forms are quaintly obsolete yet somehow maintain their appeal. I love physical media and art, so having an end product beyond an MP3 is my preference. I want to read the lyrics, look at images and handle an object as part of the experience of interacting with recorded music. As far as internet based music platforms go I think it is exciting that music video continues to be a relevant form and as someone raised on MTV and VH1 this is still a way that I enjoy experiencing music. Eric: I like records. They sound great, and I love having a large piece of artwork to interact with, reading the lyrics, checking for the secret messages in the locked groove. Beth Ann: My main consumption of music comes through online streaming. It’s awesome because it doesn’t take up any space. There are just too many objects in the world. Each format has its function but I prefer cassettes over records because they are smaller and less fragile. Records are much easier for DJing, and have a cool factor, but cassettes give me the nostalgic feeling of being twelve or thirteen and my earliest introductions to music. Eric: The two Kims, Kim Deal and Kim Gordon. Also, Cocteau Twins, Angelo Badalamenti’s guitar stuff. 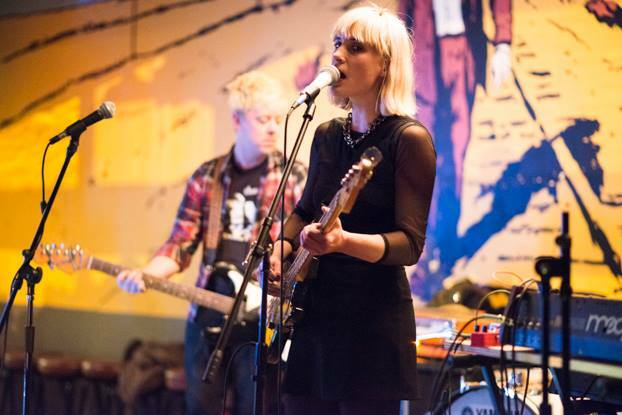 Beth Ann: I am very inspired by 60s pop and 90s alternative. Liz Phair, Billy Corgan, Isaac Brock, Black Tambourine, Beat Happening and Tallulah Gosh. I am also inspired by film, nature, and life experience. Devin: Nico, Eno, Ono, pop. Eric: I’m into vintage scooters, and French mopeds. I run a repair shop in an old warehouse in North Portland. We built our studio in the back. I’m listening to Spiritualized and The Beach Boys a lot right now. Devin: Some current bands I have been enjoying recently are Bronze from San Francisco, Vats from Seattle and Warm Hands from Portland. Litanic Mask from Portland are also super inspiring. I think the most recent book I read was Just Kids by Patti Smith which was very beautiful and tender. I collect VHS and I watch a lot of strange stuff I pick up. I have a high tolerance for B and C grade films as long as the visual component is compelling. Beth Ann: I am super into the Seattle music scene…Snuff Redux, Lisa Prank, So Pitted, and Wimps. Some of my favorite Portland bands are Is/Is, Landlines, and Ah God. I am also really into Girlpool from L.A. Aside from music I love thrifting, fashion and design. Currently I am really into pop art, digital designs and computer animation from the 80s and 90s. Keith Haring and Yoko Honda are two of my favorite visual artists. I also love the show Girls. I haven’t read Lena Dunham’s Not that Kind of Girl yet, but I really want to. Can you tell us a little about the band’s songwriting process? Devin: Generally speaking Beth arrives with chords, loose song structure and vocal parts and Eric and I write around that and embellish the songs as needed. Lately we have been trading instruments more frequently which has been fun and has allowed us to try some new directions. New Track: Tamaryn || Cranekiss. 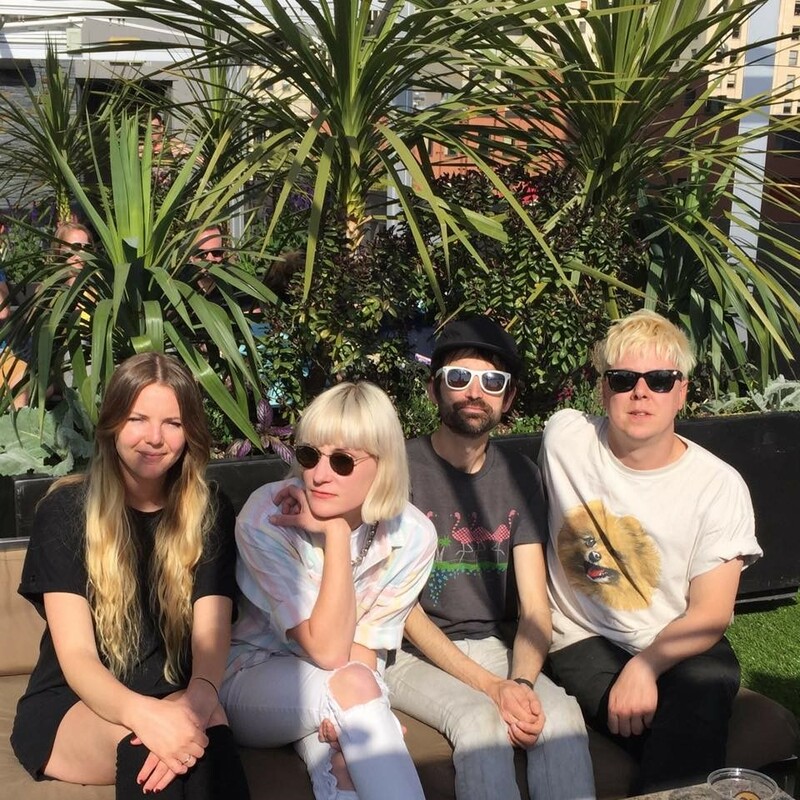 New Video: No Joy || Everything New. New Single & Video: Star Horse || Slower Now. New Video: Taffy || Young Tines (BJM remix). Demo: The Sunday Reeds || Pretty People. Soundcloud Track of the Day: Sustains || Lucero.